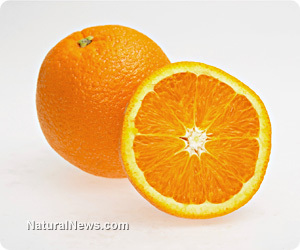 (NaturalNews) Unknown to many, since 2005, a large portion of America's orange supply has been under attack by a bacterium that is carried by the psyllid (a jumping plant lice) and sours oranges, leaving them half green. The disease, which has already cost Florida growers more than $4.5 billion, has been labeled citrus greening. Ricke Kress is the president of Southern Gardens citrus and in charge of two and a half million orange trees in the state of Florida. Since the disease was discovered, Kress and one thousand other Florida growers, who supply the majority of the nation's orange juice, have battled it with everything they have. They've gone as far as chopping down thousands of infected trees, spraying an array of different pesticides at triple the normal amount and even seeking out orange trees that carry a natural immunity - all to no avail. Kress and others in the orange industry decided that the only possible answer to this outbreak lied in biotechnology. Since 2008, millions have been spent on creating a genetically engineered orange that can withstand citrus greening. The orange growing industry is well aware that the public is not going to willingly or easily accept the idea of genetically modifying one of the healthiest and most popular foods on the planet. Kress' boss, uneasy about ruining the healthy image of the fruit, stated in a 2008 meeting, "Do we really want to do this?" Mr. Kress assured his boss: "The consumer will support us if it's the only way." One astute grower stated, "The public will never drink GMO orange juice, it's a waste of our money." In the past few years, genetic material from two different plants, a virus, a pig and, perhaps most frightening of all, a laboratory synthesized gene have been evaluated for use in the new transgenic GMO orange. If approved by regulatory agencies, the new GMO orange trees could be planted in as little as two years. In the New York Times piece "A race to save the orange by altering its DNA," the source for this article, the author implies that genetic engineering is the equivalent of cross breeding. In a section titled "millenniums of intervention," she writes, "The reality is that human intervention has modified the orange for millenniums, as it has almost everything people eat. Before humans were involved, corn was a wild grass, tomatoes were tiny, carrots were only rarely orange and dairy cows produced little milk." These comments demonstrate a clear lack of understanding between the differences in genetic engineering, which implants genetic material from one species into another using advanced laboratory technology, and conventional breeding, which takes place over dozens of generations and involves breeding different strains of the same species. Genetic engineering creates random and unintended consequences that do not occur in traditional breeding. The NYT author also writes, "Dozens of long-term animal feeding studies had concluded that existing GMOs were as safe as other crops, and the National Academy of Sciences, the World Health Organization and others had issued statements to the same effect." In reality, the longest GMO study published resulted in rats with massive tumors. If GMOs were "as safe as other crops," they wouldn't be banned or restricted in more than sixty countries around the world. In the U.S., however, the government has sanctioned GMOs based on science sponsored by the very same corporations that created frankengenes.